I needed a small gift to bring as a hostess gift and wanted to make something special. 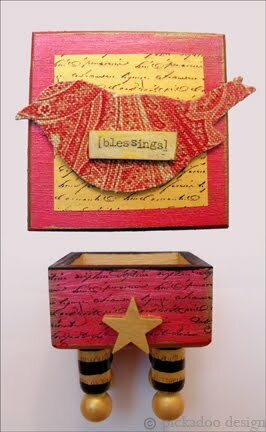 I painted this little wood box a metallic red and rubbed the edges with Rub N Buff to age it. The script is stamped on the box as well as gold paper. I painted and glued on the little legs. For the top, I found these great wood birds on ebay and covered one in scrap cloth. The inside of the box is lined with the same cloth. 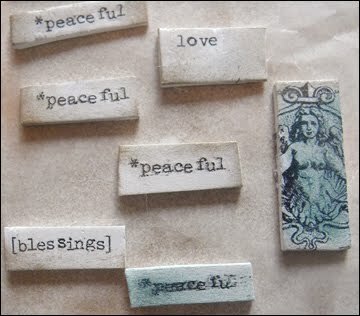 The Blessings tag, I made in clay. My sister-in-laws and I decided to do handmade gifts this year for Christmas. I got the idea to make marble coasters online. They were so fun to make! I want to do more! 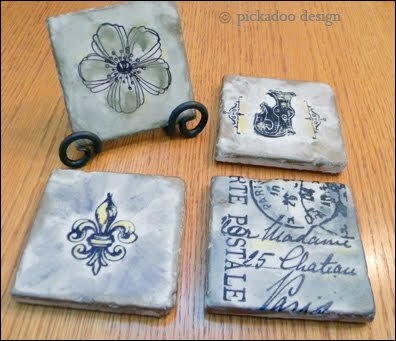 I rubbed the edges of the coasters with gold Rub n Buff to antique them and stamped them with pretty stamps. I added color by using pigmented powders. After sealing with polyurethane and adding cork to the bottoms, I’m all set to give them out. Oh yeah, and I found the coolest wrought-iron holders that work perfectly. 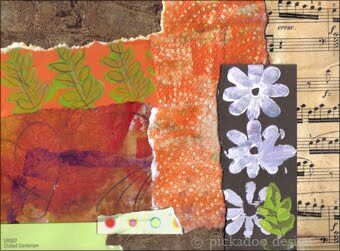 One of my forays into true mixed-media. 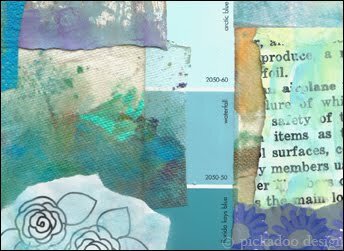 A smallish canvas that is painted and layered in paper, old sewing pattern and pencil. I painted an image from my Dover book as the lovely odalisque. 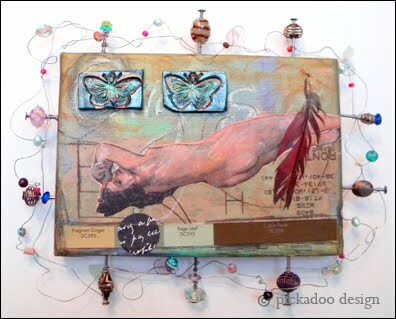 The butterflies are made in clay and I hammered in nails with various beads around the edge to change the silhouette of the canvas. My little parrot provided the red feather from his tail- one of many that fall out and litter his cage. The whole thing has kind of a tribal, Darwinism kind of feel and that’s how I came up with the title. 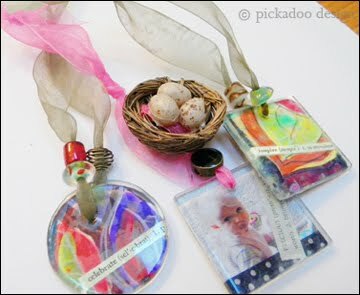 I glued some images from my cards (as well as a picture of my niece…) onto the back of some circular and square glass blanks. I added ribbon and beads and they are ready to adorn some packages that I plan to give. The glass gives them a nice weight and allow them to hang nicely. 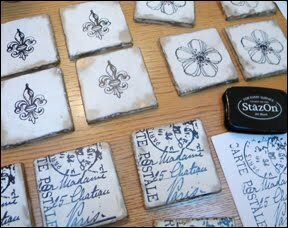 These tiny little polymer tiles were made using a gin transfer method. I printed out the text on my laser printer. Then rolled out white clay. I rubbed the back of the print out with really cheap gin and voila! The text was transferred onto the clay. I added some gold and blue pigment powders to accent the edges and then baked them. I can’t wait to use these little gems in other mixed-media pieces. My poor blog has been neglected for too long. 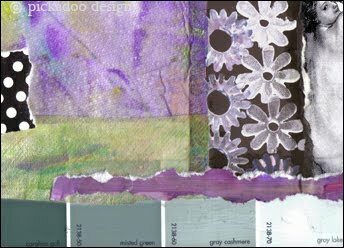 Here are some paper towel collages that I put together. The colors are so vibrant and the paper towels stain up so beautifully with acrylic paint that has been watered down. I didn’t want to cover up all that texture with imagery. I am a designer living near Woodinville, Washington with my family. I enjoy making my own artful elements to put into my work. 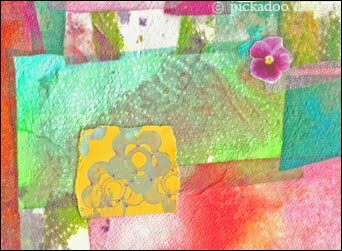 I love to incorporate happy imagery like hearts, birds, flowers and bright colors. I enjoy being by the water or listening to live music. I have a beautiful yellow canary that fills my home with color and song. You’ll find me throwing the ball for my Portuguese Water Dog , Juniper. A Heart-y wish for a Happy Birthday!